CreateGirl: Joss and Main + Jace Interiors = A Great Sale! Joss and Main + Jace Interiors = A Great Sale! I was so excited when the Home Decor website Joss & Main asked me to curate a collection for their site. 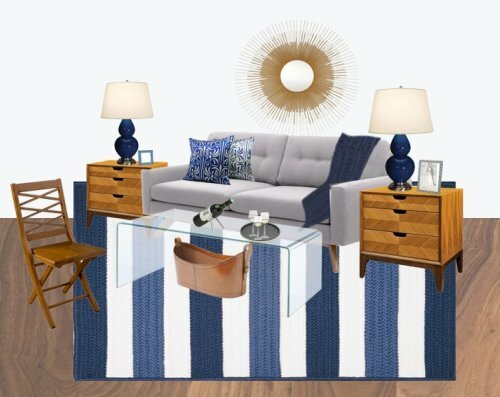 They came up with the theme "Something Borrowed, Something Blue" as a nod to the Jace Interiors philosophy of Design With What You Have and my upcoming wedding! It was such a fun experience going through their enormous catalog of goods to select 50 of my favorite pieces which was soon scaled back to 25. Ashley put together this great mood board using pieces from the sale! I especially love how she added a wedding couple to the picture frame! Who knew folding chairs could be so stylish? I love the option above, it would easily fit into many room schemes! I know we are all focused on holiday shopping and mine could be completed with these pieces, the discounted prices are just right!. 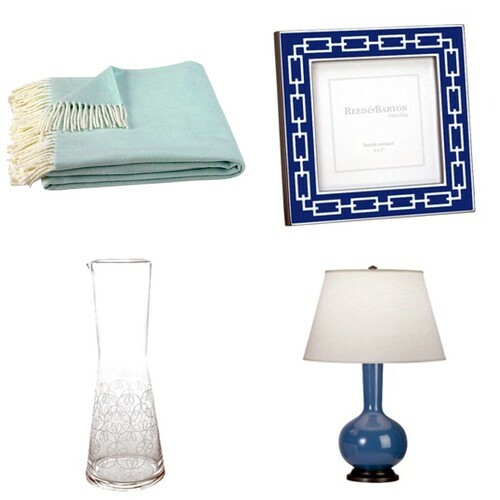 The herringbone throw ($59) is so super cozy, the carafe and frame are both UNDER $20 and of course I will need to do a little shopping for myself so that blue lamp is all mine! The Joss & Main collection is live until Thursday so please stop on over, their sales are really the best on the web! If you need an invitation just leave a comment with your email address. Thanks to Alexandra at Joss & Main for reaching out this has been such a great experience!